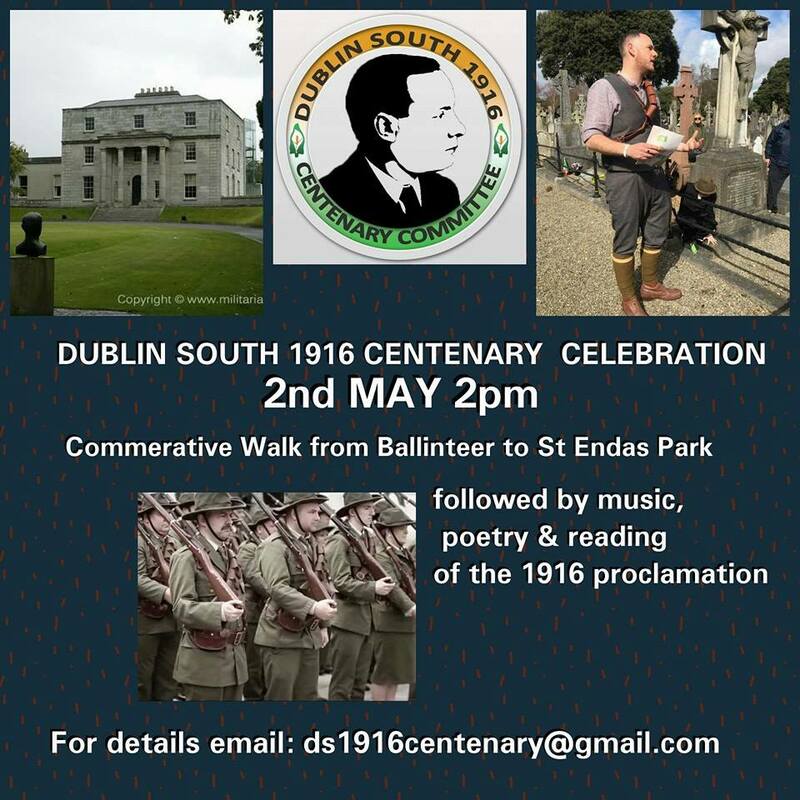 April/May – 1916 Rising commemorative events in Dublin | Come Here To Me! « Ninety years ago this week, a Dubliner tried to kill Benito Mussolini. 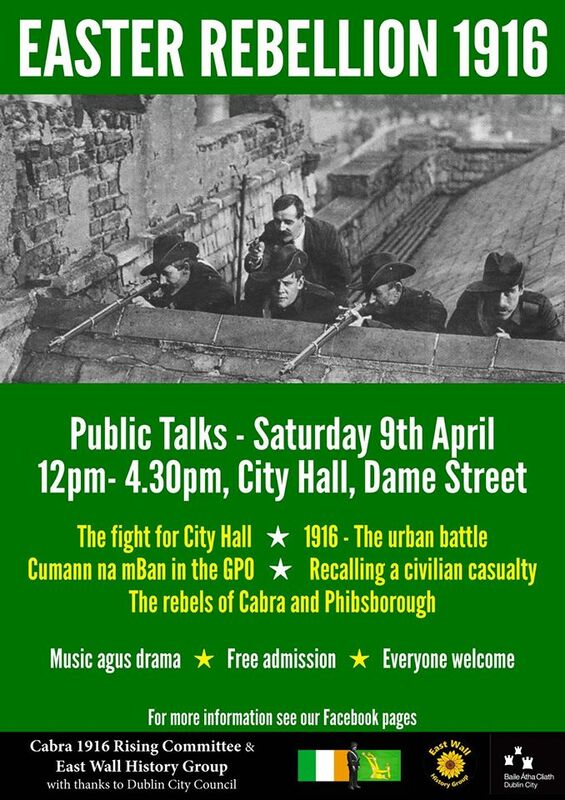 The Cabra 1916 Rising Committee and the East Wall History Group are co-organising a day of talks in City Hall with historians Brian Hanley, John Dorney, Hugo McGuinness, Stephen McCullagh and Maeve O’Leary. Entrance is free. ‘Rebellion : A Peoples History’ poster. 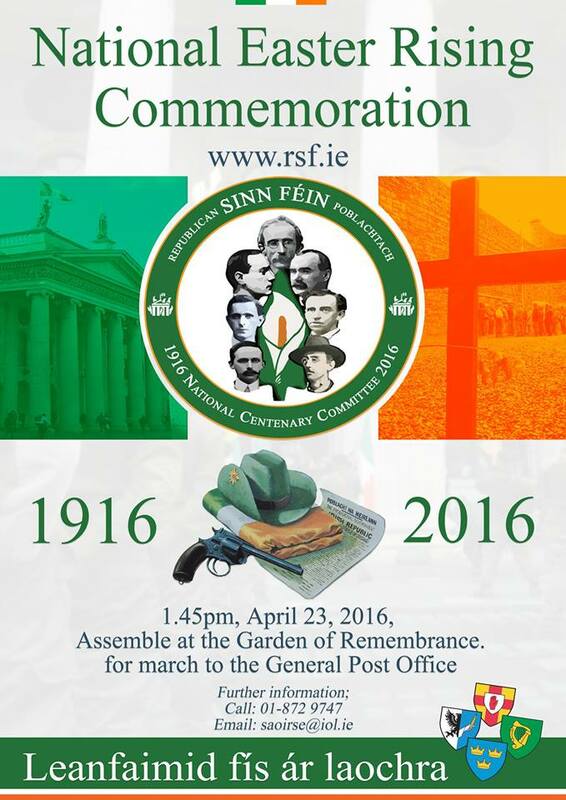 Republican Sinn Fein are hosting their main commemorative march. Assembling at 1.45pm at the Garden of Remembrence. On Saturday at 3pm, the Seán Heuston 1916 Society are hosting a public meeting in the Teacher’s Club with Tommy McKearney (ex-hunger striker), Kieran Conway (author of Southside Provisional) and CHTM’s Donal Fallon. 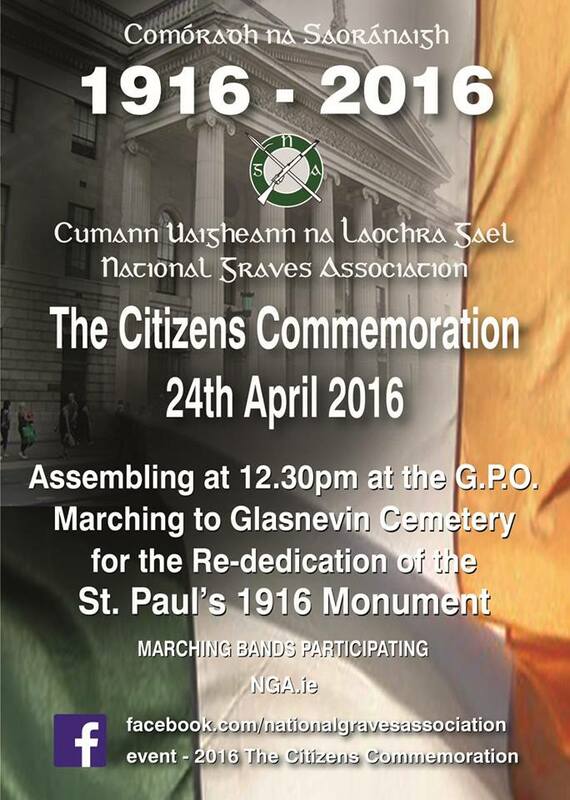 On the 100th anniversary of the Rising, the National Graves Association are hosting a Citizens Commemoration. Assembling at the GPO from 12.30pm and then a march to Glasnevin Cemetery for the unveiling of a new monument at St. Paul’s Cemetery which marks the graves of a number of Irish Volunteers and Irish Citizen Army killed during the Rising. 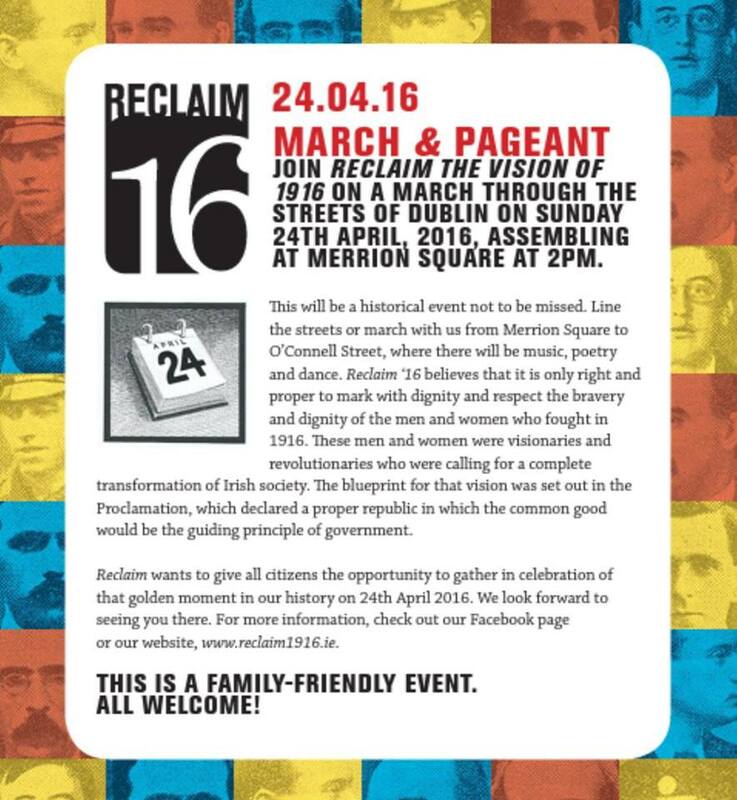 Assembling at Merrion Square at 2pm, the ‘Reclaim the Vision of 1916′ are organising a march and pageant. Patrons of the organisation include Robert Ballagh, Jim Fitzpatrick, Betty Purcell and Tommy McKearney. 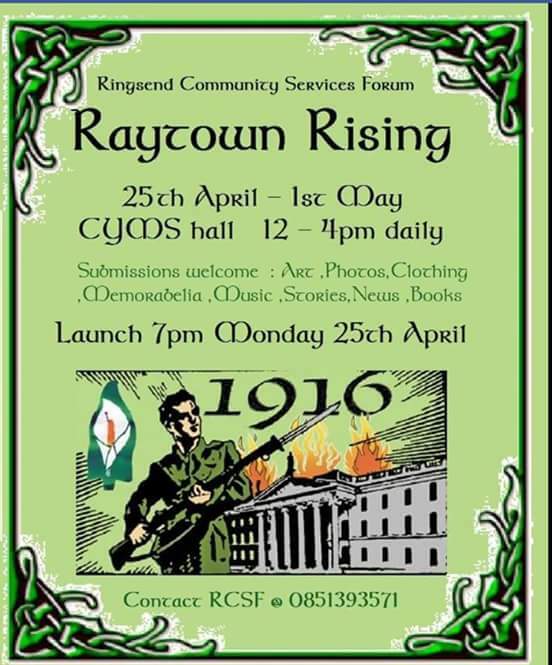 Reclaim the Vision of 1916 march. 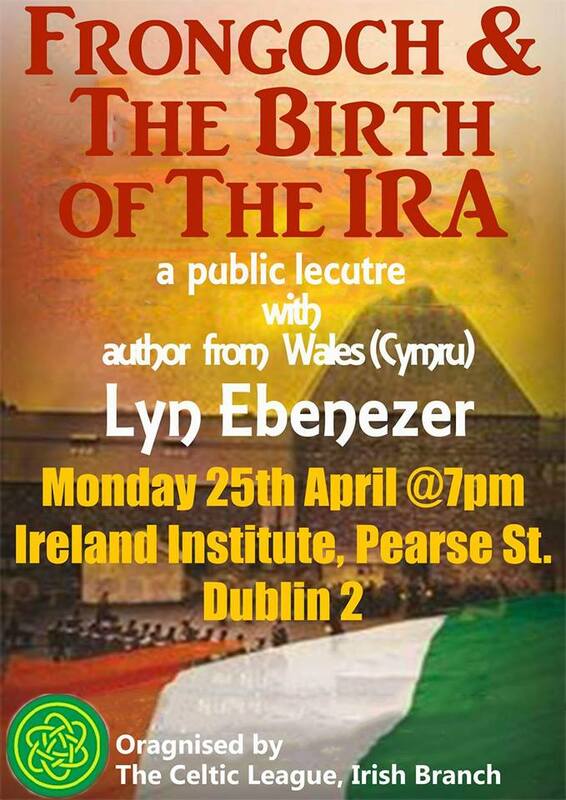 Frongoch & the Birth of the IRA talk. The Stoneybatter and Smithfield People’s History Project will unveil a plaque on North King Street to remember sixteen locals killed by the British Army. They are assembling at 2.30pm on Manor Street and will march the short distance to North King Street to unveil the plaque. 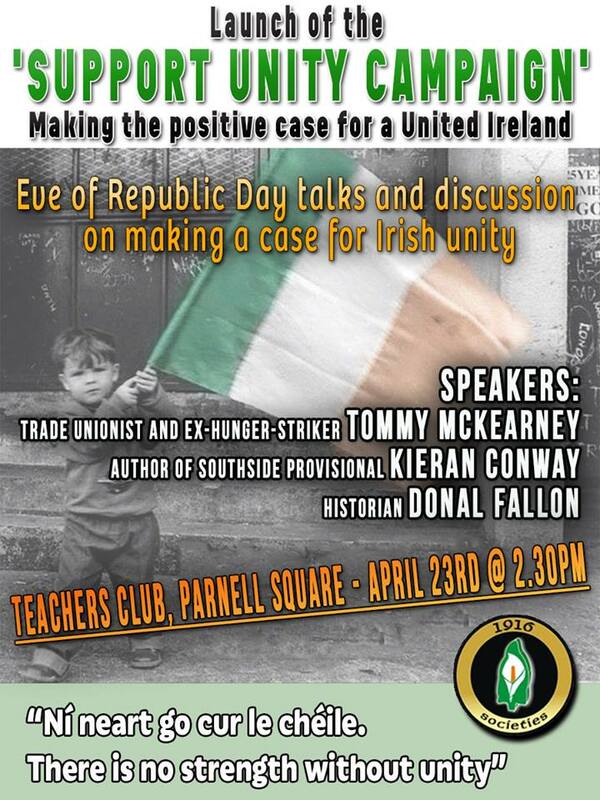 On the 100th anniversary of the execution of James Connolly, éirígí are holding their main centenary commemoration. 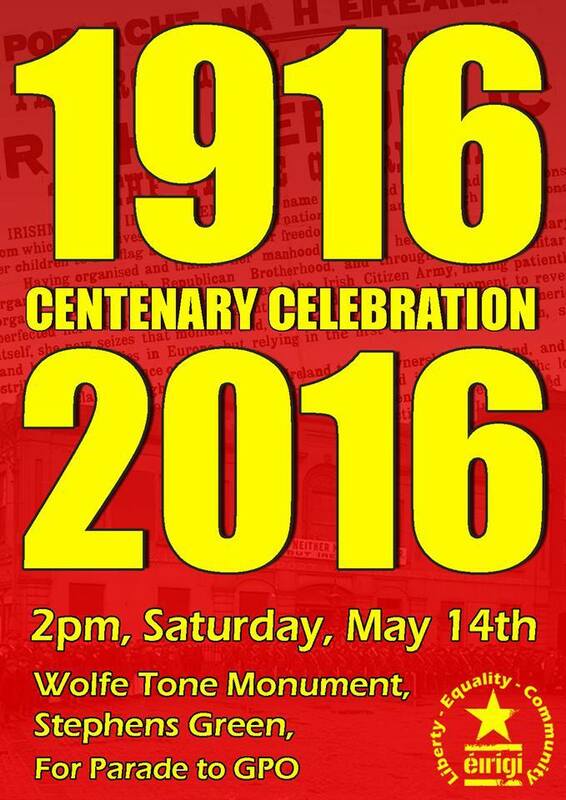 Assembling at 2pm at the Wolfe Tone statue at Stephen’s Green and marching to the GPO.